Going along with everything wild cat related I wanted to offer up my personal reviews on books about wild cats, for two reasons. One, I own most books written on wild cats. Two, if you are interested in learning more about wild cats, it’s nice to know which books are worth buying. So without further ado, my first review: The Wild Cats of the World, by Luke Hunter, 2015. 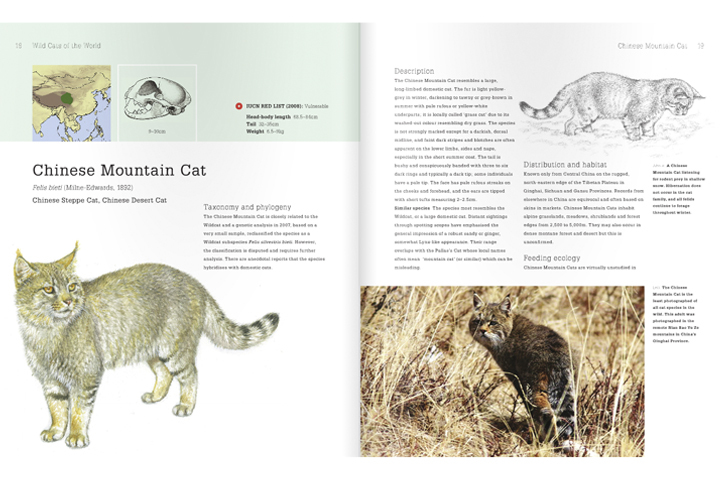 This book serves as a guide to the entire wild cat family (Felidae), looking at each individual species known to science. At the time of publication that is 38, including the recently discovered Southern Tigrina. It first looks at the evolutionary history of this mammalian family and gives you insights into what species are most closely related and how eight different lineages (groups of closely related species) have evolved. The book then goes directly into the species descriptions which cover 87% of the book. It concludes with a chapter on the conservation of wild cats. Each of the 38 wild cat species has the following topics covered: taxonomy and phylogeny, description, distribution and habitat, feeding ecology, social and spacial behavior, reproduction and demography, and status and threats. Each of those topics goes into great detail without being overbearing. For example, it states that leopards are known to feed upon over 200 species of prey without listing you all 200 species. Yes, there are books that list all the species — to be reviewed later. I would describe the text as data driven, but readable to non-scientists. Each species is introduced by a beautiful full body drawing, along with a range map, and skull drawing. After the introductory drawing are some of the most unique photographs I have seen published of wild cats (full disclosure: I took some of the pictures in this book — but I am definitely talking about the pictures in general!). A few things that really stood out to me. 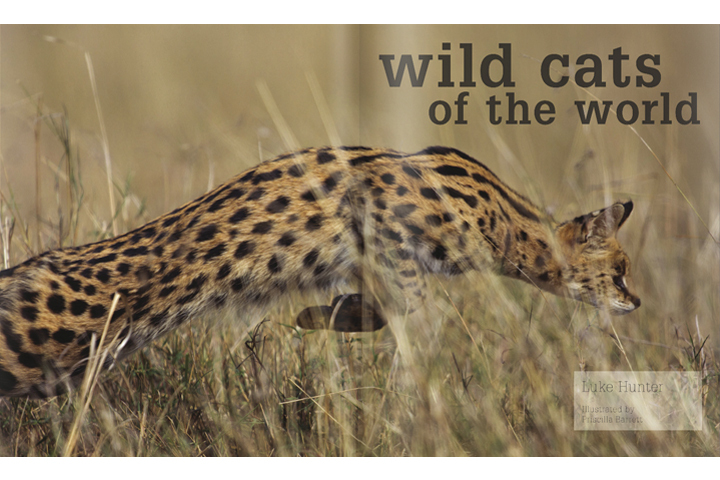 Most of the images are of wild cats in the wild, which is generally not the case for many books on wild cats. Additionally, there are many images which I have never seen published before. Finally, there are an incredible amount of behavioral pictures, also a rare feat! Additionally, the drawings by Priscilla Barrett of behaviors that have not yet been captured on film are incredibly beautiful and insightful into the lives of these secretive animals. With a total of over 400 photographs and drawings, this book is simply beautiful to look at. The amazing quality of this book is that it is equally appropriate for children learning about the different wild cat species for the first time as well as seasoned biologists who want to know the latest information on the cat species. Would I recommend buying this book? 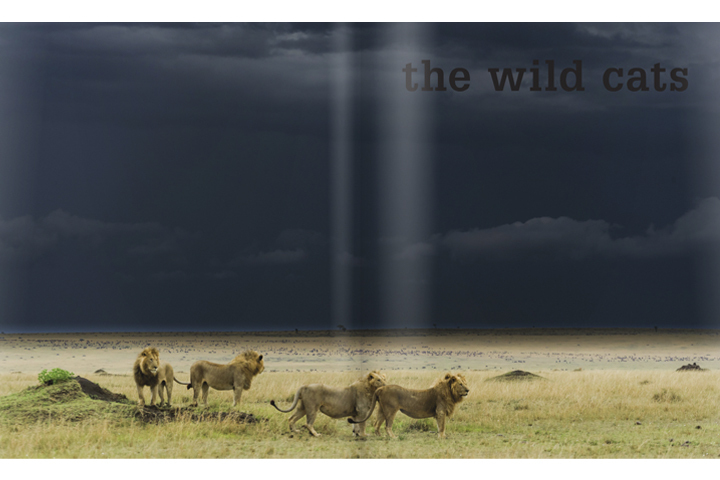 This book is a must have if you are at all interested in wild cats. You can get your copy here.